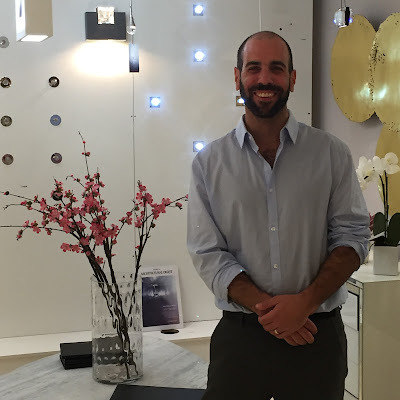 Jamie Shapiro is the new director of special projects in the commercial division of Union Lighting. Jamie finds joining the Union family so exciting as it has both, brought him full circle, and provided the opportunity to continue hia career in the industry that he knows and enjoys the most. “My career path has provided me with many things; perhaps the most special, is the opportunity to follow my own passion,” Jamie notes. “ The position of,Director of Special Project, is the role that will allow me to tackle and achieve in many different areas. One of my specific interests is undoubtedly the LED movement with a focus on the horticulture industry. Another of my focuses will be in the area of exterior lighting. “I truly look forward to showing our clients all of the opportunities that are now available with the most advanced technologies and the quality products that Union has to offer. I am so enthused and looking forward to successfully growing the Union brand through my already established network of existing customers and forging new relationships with those customers I have yet to meet! Jamie can be reached at jamies@unionltg.com and at 514-340-5000 #238. Jamie Shapiro est le nouveau directeur de projets spéciaux relevant de la division commerciale d’Éclairage Union. Jamie se réjouit à la pensée de se joindre à la famille Union, la chose lui apportant à la fois un retour à ses origines, et l’occasion de poursuivre sa carrière dans le domaine qu’il connaît et aime le plus. Vous pouvez joindre Jamie à l’adresse courriel jamies@unionltg.com et par téléphone au numéro 514-340-5000 #238.